1. Combine the chickpea flour, one tablespoon of oil, salt and red chilli powder in a mixing bowl and set aside. 4. Cover it with a lid and cook them on a low flame. Turn the eggplants occasionally so they cook evenly. soft. Switch off the flame and serve hot with rice. so simple and so nice. Love ur pics…ESP the first one..u have got love fingers 🙂 I liked this recipe too, will give it a try sometime .. Delicious and inviting eggplant preparation. Oohhh so delicious n inviting…..wonderful clicks..
hmmmmm tempting and delicious stuffed egg plant curry. wow…very simple yet delicious stuffing…looks very inviting…liked all the clicks, awesome! What gorgeous little eggplants! So delicious with the chickpea filling! Love this delicious egg plant. Nice stuffed eggplants.we also make the same way. loved the beautiful clicks! Very tasty sabji, loved the ingredient too. 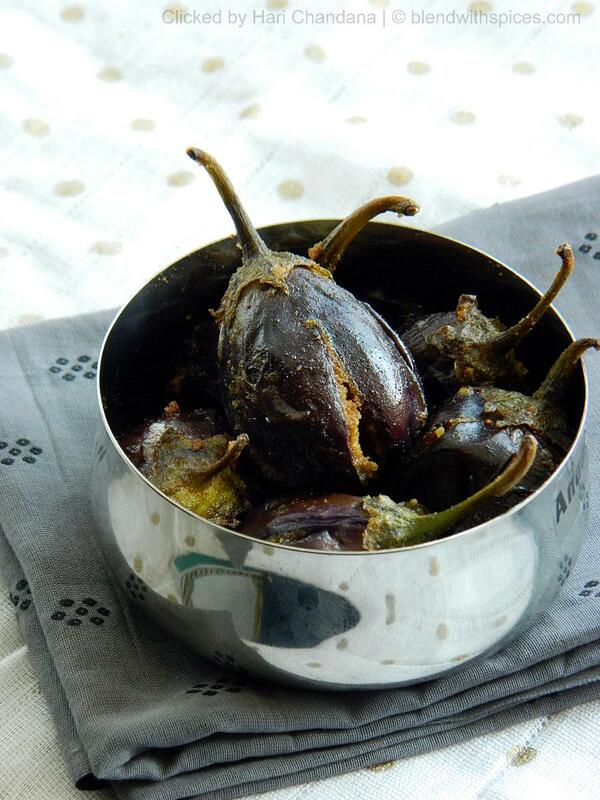 Very tasty and yummy brinjal sabji. We do not buy brinjal ! Allergy. Not for me. So I have it when I go visiting or drool over pictures like these ! I love stuffed eggplants. Love the first picture. Yummy and tempting eggplants…loved the stuffing..your hands are very beautiful! 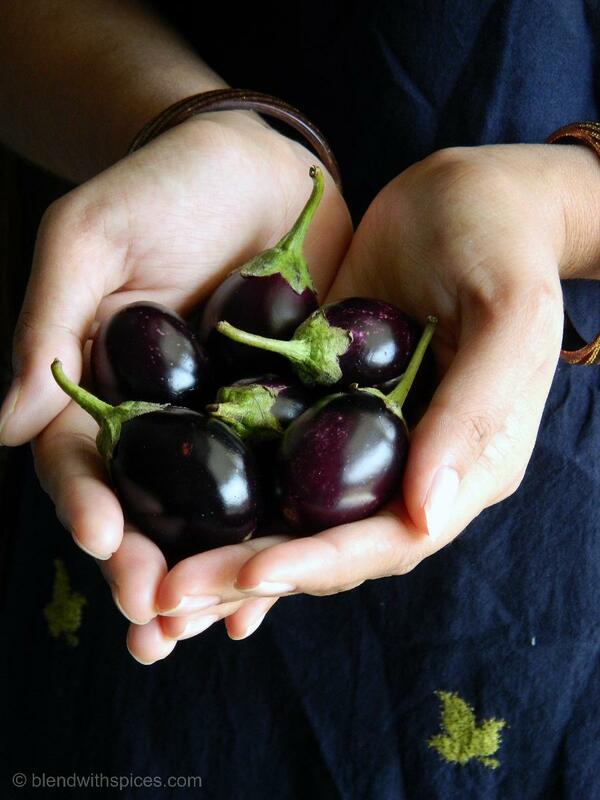 Those lovely brinjals look like little pearls in your hands, pics are lovely.